Dr. Etiony Aldarondo is a clinical psychologist with over 25 years of experience in domestic violence research and advocacy, mental health services, and community partnerships. He is President of the Behavioral Sciences & Wellness Networks, which specializes in designing interventions for healthy lifestyles and thriving communities. His academic trajectory includes appointments in the Family Violence Research Program at the University of New Hampshire, Harvard Medical School’s Cambridge Hospital, The Philadelphia Child Guidance Clinic, Boston College, the University of Miami (UM), and Albizu University. The recipient of various recognitions for educational excellence and community involvement, Dr. Aldarondo’s scholarship focuses on positive development of ethnic minority and immigrant youth, domestic violence, and social justice-oriented clinical practices. His publications include the books Advancing Social Justice through Clinical Practice (Routledge), Programs for men who batter: Intervention and prevention strategies in a diverse society (Civic Research Institute with Fernando Mederos, Ed.D. ), and Neurosciences, Health and Community Well-Being (San Luís, Nueva Editorial Universitaria with Dr. Enrique Saforcada and Mauro Muñoz). Dr. Aldarondo has a long history of involvement with grassroots advocacy organizations and federal government agencies. He was Founding Executive Director of the National Latino Alliance for the Elimination of Domestic Violence as well as Founding Director of the Community and Educational Well-Being Research Center at UM. He is Past Executive Director of The Council on Contemporary Families and is on the board of directors for Casa de Esperanza, The Melissa Institute for Violence Prevention and Treatment, and The National Resource Center on Domestic Violence. Carmen Alvarez is an Assistant Professor at Johns Hopkins School of Nursing. She is also a family nursing practitioner and midwife. Dr. Alvarez’s program of research focuses on the role of health services in identifying and responding to the unique needs of survivors of intimate partner violence and adverse childhood experiences – particularly among Latino immigrants. Walter S. DeKeseredy is Anna Deane Carlson Endowed Chair of Social Sciences, Director of the Research Center on Violence, and Professor of Sociology at West Virginia University. He has published 24 books, 96 scientific journal articles and 80 scholarly book chapters on violence against women and other social problems. In 2008, the Institute on Violence, Abuse and Trauma gave him the Linda Saltzman Memorial Intimate Partner Violence Researcher Award. He also jointly received the 2004 Distinguished Scholar Award from the American Society of Criminology's (ASC) Division on Women and Crime and the 2007 inaugural UOIT Research Excellence Award. In 1995, he received the Critical Criminologist of the Year Award from the ASC’s Division on Critical Criminology (DCC) and in 2008 the DCC gave him the Lifetime Achievement Award. In 2014, he received the Critical Criminal Justice Scholar Award from the Academy of Criminal Justice Sciences' (ACJS) Section on Critical Criminal Justice and in 2015, he received the Career Achievement Award from the ASC's Division on Victimology. In 2017, he received the Impact Award from the ACJS’s section on Victimology and the Robert Jerrin Book Award from the ASC’s Division on Victimology. Rosa Gonzalez-Guarda, PhD, MPH, RN, CPH, FAAN, is Associate Professor at Duke University School of Nursing and the Faculty Lead for the Population Health Research Area of Excellence for the school’s Center for Nursing Research. She also serves as the Co-Director of the Pilots Core for Duke’s Clinical Translational Science Institute. Her research focuses on describing the intersection of intimate partner violence, substance abuse, HIV and mental health among Latinos in the U.S. and the development of culturally tailored interventions to address these. She uses a syndemic orientation, mixed methods, and community engaged strategies to address these areas of interest. She is currently the principal investigator of a longitudinal study funded by the National Institute on Minority Health and Health Disparities at the National Institutes of Health (1 R01 MD012249-01) that will help identify the impact that acculturation stress and resilience have on biobehavioral and mental health outcomes among young adult Latino immigrants over time. She is also currently the principal investigator of a Hillman Foundation Emergent Innovation Award that will develop a smartphone application that aims to prevent intimate partner violence among young adult Latino immigrants. Dr. Gonzalez-Guarda is committed to building and nurturing the next generation of nurses equip to address health disparities. She was one of the five nurses who served on the Institute of Medicine Committee that produced the landmark Future of Nursing Report (2010), was appointed by the Secretary of Health and Human Services to serve on the National Advisory Council on Nursing Education and Practice (NACNEP, 2012-2016), and has been the principal investigator of various programs that promote health disparities research careers for underrepresented minority nurses and students from various health professions. Dr. Gonzalez-Guarda is an alumna of the Substance Abuse Mental Health Services Administration Minority Fellowship Program at the American Nurses Association, the Robert Wood Johnson Foundation Nurse Faculty Scholars Program, and is a fellow of the American Academy of Nursing. 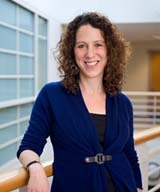 Lisa A. Goodman is a Professor in the Department of Counseling and Applied Developmental Psychology at Boston College. She is the author of over 95 articles and chapters on the interaction between victims of intimate partner violence and the practices, systems and policies that aim to help them; the psychosocial effects of intimate partner violence; innovative mental health practices for low-income communities; and bringing social justice to counseling psychology. She has also consulted extensively with national and community-based organizations that work with survivors, and is the co-founder of the Massachusetts Domestic Violence Program Evaluation and Research Collaborative. Dr. Goodman has received several national awards for her teaching, mentoring, and research. Her 2008 book, co-authored with Deborah Epstein and published by the American Psychological Association, is entitled Listening to Battered Women: A Survivor-Centered Approach to Advocacy, Mental Health, and Justice. Dr. Kuperminc is Professor of Psychology and Public Health at Georgia State University, where he directs the doctoral program in Community Psychology and serves on the faculty of the Developmental doctoral program. He received his PhD in 1994 from the University of Virginia, and completed a post doctoral fellowship at Yale University from 1994-1997. He works in the areas of social ecology and adolescent development. Dr. Kuperminc engages in two types of research focused on 1) understanding processes of resilience and positive youth development in adolescence and 2) evaluating the effectiveness of community-based prevention and health promotion programs. These types of research often intersect. Dr. Kuperminc is best known for his work on resilience and positive youth development, as well as evaluating community-based prevention and health promotion programs. He is interested in understanding how cultural factors play a role in developmental processes and health behavior, particularly in youth from immigrant families. He has received funding from SAMHSA, the CDC, the U.S. Department of Justice, the U.S. Department of Education, and numerous other agencies. He has served as an advisor to several national organizations, including the National Mentoring Resource Center, Boys and Girls Clubs of America, the Canadian Women’s Foundation, and the Georgia Governor’s Office on Children and Families. Dr. Kuperminc is Associate Editor of the Journal of Adolescent Research and Action Editor for the Journal of Community Psychology. He has faculty affiliations with the Georgia State University Center for Latin American and Latino Studies and the Center for Human Rights and Democracy, and has directed a study abroad program, Human Rights in Argentina: From Dictatorship to Democracy, since 2009. He is a fellow of the American Psychological Association, the Society for Community Research and Action, and the Society for Applied Anthropology. Dr. Parra-Cardona is an Associate Professor in the Steve Hicks School of Social Work (SHSSW) at the University of Texas at Austin. At the SHSSW, he serves as the Coordinator for Initiatives in Mexico and Latin America, as well as Co-Director of the Institute on Domestic Violence and Sexual Assault (IDVSA). His primary research focus is on the cultural adaptation of prevention parenting interventions for low-income immigrant Latino/a communities exposed to considerable contextual challenges. His first cultural adaptation study was funded by the National Institute of Mental Health (NIMH) and focused on first-generation immigrant families living in Detroit. He is currently funded by the National Institute on Drug Abuse (NIDA) to extend this work with Latino/a immigrant families with adolescent children. Dr. Parra-Cardona has used the experience gained in these US-based studies to collaborate with Mexican institutions and state governments in the implementation of prevention programs of research. An additional area of research refers to the cultural evaluation of programs for survivors of intimate partner violence, as well as offenders. Parra-Cardona currently serves as Vice-President of the Family Process Institute, a leading US-based institute committed to promoting family therapy practice and research. Dr. Chiara Sabina is an associate professor in the Department of Women & Gender Studies at the University of Delaware. Her research centers on interpersonal victimization, especially intimate partner violence, sexual violence, and dating violence. Dr. Sabina employs a contextual, strengths-based perspective with respect to interpersonal violence focusing on understudied groups, the influence of cultural variables, help-seeking responses, and examination of the service-delivery system. Dr. Sabina has received grants from the Fulbright Scholar Program, National Institute of Justice, Pennsylvania Commission on Crime and Delinquency, Vision of Hope, and National Sexual Violence Resource Center to conduct her work on Latino victimization, victim needs, violence prevention, domestic violence services, and culturally-informed sexual assault services. Dr. Sabina serves as Member at Large for American Psychological Association’s Division 27, Society for Community Research and Action and is Senior Consulting Editor for Psychology of Violence. Dr. Cris M. Sullivan is Professor of Ecological/Community Psychology and Director of the Research Consortium on Gender-based Violence at Michigan State University (MSU). In addition to her MSU appointments, Cris is the chairperson of the Michigan Domestic and Sexual Violence Prevention and Treatment Board, and Senior Research Advisor to the National Resource Center on Domestic Violence. Cris has been an advocate and researcher in the movement to end gender-based violence since 1982. Her areas of expertise include developing and evaluating community interventions for domestic violence survivors and their children, and evaluating victim services.